Made for clubs and competitions of all sizes, supporting up to 3 lanes. 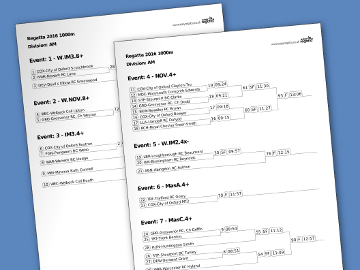 Quick and easy to create your regatta draw. 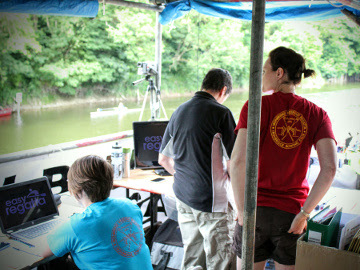 New features added every year, plus bespoke solutions for your regatta. The Race Finder makes planning easier. Live Results as the racing progresses. 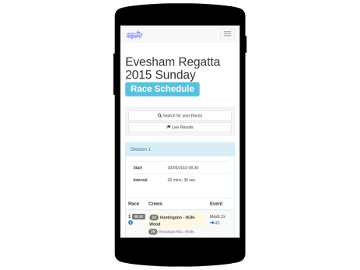 View Race Schedules on mobile / tablet / PC. Statistics includes regatta progress, and wins per club.